Block Kit is a new UI framework that offers you more control and flexibility when building messages for Slack. 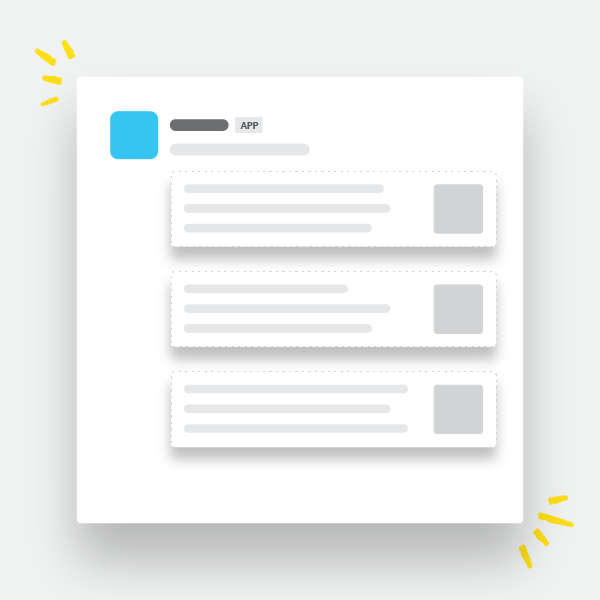 Comprised of "blocks," stackable bits of message UI, you can customize the order and appearance of information delivered by your app in Slack. Explore how Block Kit can improve your app: Take a tour of the available blocks, get started with an app template, or dig into the documentation. Shuffle and stack blocks to quickly prototype app messages on Slack. When you're ready, we'll provide the message payload so all you have to do is copy and paste it into your app's code. Design with Block Kit Builder. 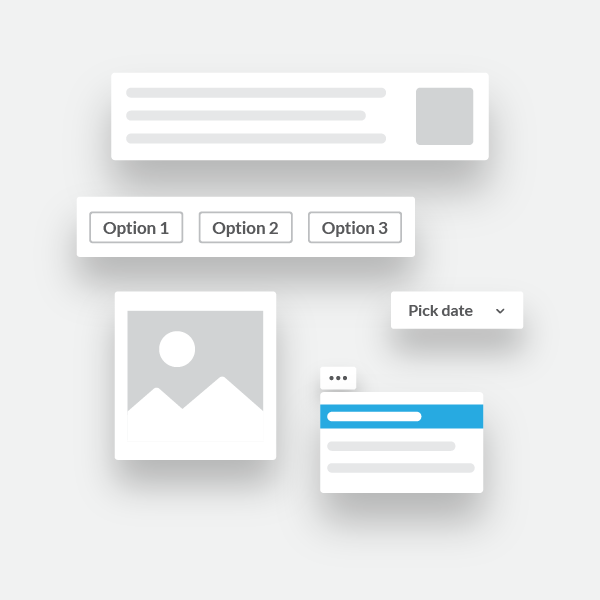 Spend less time designing your app by starting with a template. 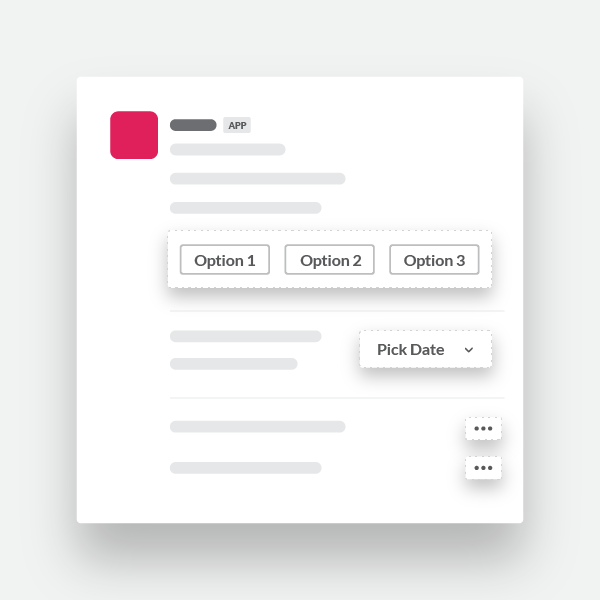 Developed around common workflows in Slack, such as approvals, notifications and polls, templates makes designing apps simpler. Explore our documentation and learn how to develop apps with Block Kit. Discover best practices for creating engaging user experiences, understand which APIs support Slack's newest platform features, and use developer tools to simplify building your app. The easiest way to set up meetings -- suggest, share, schedule. Track the status and collaborate on experiments and ideas through Slack, saving time and minimizing the need to bounce between applications. A knowledge network that empowers teams by delivering knowledge to them everywhere they work. Connects your teams in Slack with their important Salesforce data so they can get things done.